So we are counting down the days to our first trip to Hawaii! My brother who lives in Toronto, Canada with his Fiance are getting married halfway between Canada and Australia. We are so pumped as we are looking forward to not only the wedding but a trip to what looks like an awesome place. The Pok (aka our son) is also pumped for the trip. He has been running around asking us whether today we are going to “Hawawi”. Yes he has difficulty pronouncing it. But he knows that we have to fly on a plane to get there. It will be funny to see him at the airport towing his carry-on bag to go to the gate. To the Islands We Go! What do we have planned? Well we are going to see three of the islands. O’ahu, Maui, and Hawai’i islands and it is going to be a blast. The main part of our trip will be in Maui where we will be staying for a week, but we are spending a sufficient amount of time on the other two islands. 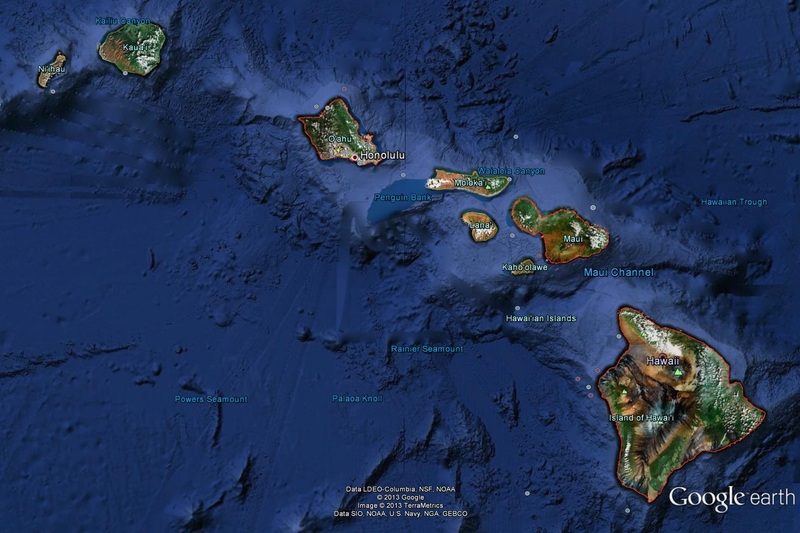 I have been zooming in and out of the islands on Google Earth to check out what the landscape looks like from satellite. In the last couple of months now I have seen two documentaries on National Geographic channel about the Big Island of Hawai’i. Bob Ballard did an undersea documentary about the burgeoning volcanic island off the cost of the Big Island. He also recounted an interesting fact that I was unaware of, that the volcano on Big Island measured from the base of the sea floor is the tallest mountain in the world – surpassing Everest by a significant amount. 10. Visit the observatory at the top of the volcano on Big Island. There are probably a few other things I will add to the list, but for now, these are the must dos. I did forget one though – relax and enjoy the company of my family. This is where I my expectations are likely to be significantly shattered. One of the few TV shows I try to watch every week is Hawaii Five-O. I know it is corny, and most of the story lines are far fetched – but have you seen the location of the show! Plus if fellow Aussie Alex O’Loughlin thinks it is a good idea to run around the islands then it has gotta be good. But I reckon there is absolutely no chance of significant crime going down – with McGarret and Danno to the rescue – while we are there (at least I hope not). What is probably more plausible is family shenanigans going down like in ‘The Descendants’. Although you will not find me running around like George Clooney in the movie. 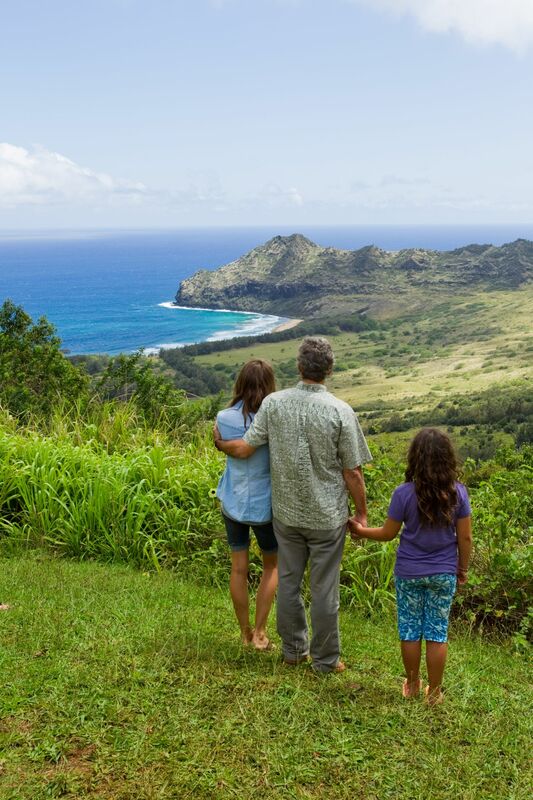 What I do hope is that we have some moments like this from the film, taking in the stunning scenery of the islands – even if we are not going to Kauai. I only have one fear about this trip… that I will want to stay. Aloha Hawaii, we are coming to visit you!